To realize the event, Kaleydo worked together with wedding planner Cindy Salgado. This is the classic example of a destination wedding, where the couple invites their loved ones to take part in a series of activities that culminate with the wedding day. 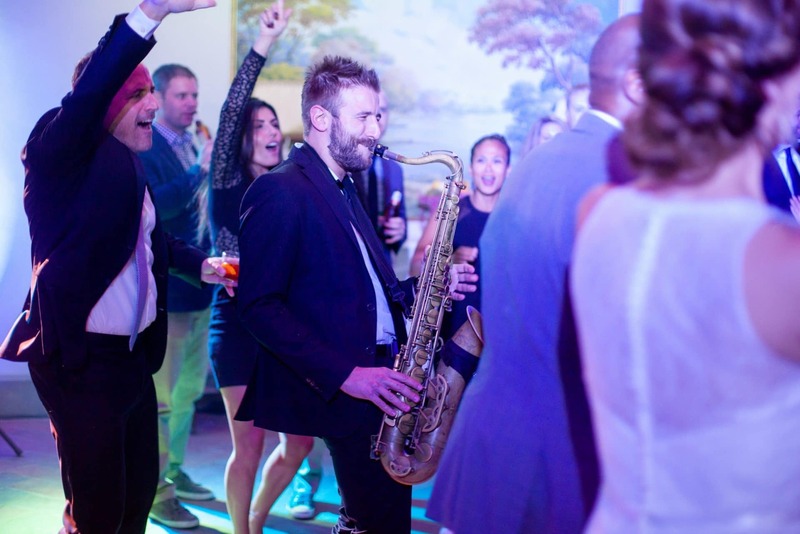 A direct and pleasant communication simplified the planning process of all of the entertainment’s details for the event, where the stunning spaces of Villa Le Fontanelle represented a one-of-a-kind setting. Our string quartet played for guests at the welcome cocktail, and then accompanied all of the ceremony’s key moments: from the entrance of the bridesmaids to the exchange of the rings and the exit of the newlyweds, creating a magical and memorable atmosphere. The night shifted gears at cocktail hour, where, under the shadow of a large tree in the Italian garden, a guitar and mandolin duet played evergreen tunes that set a unique and convivial mood. 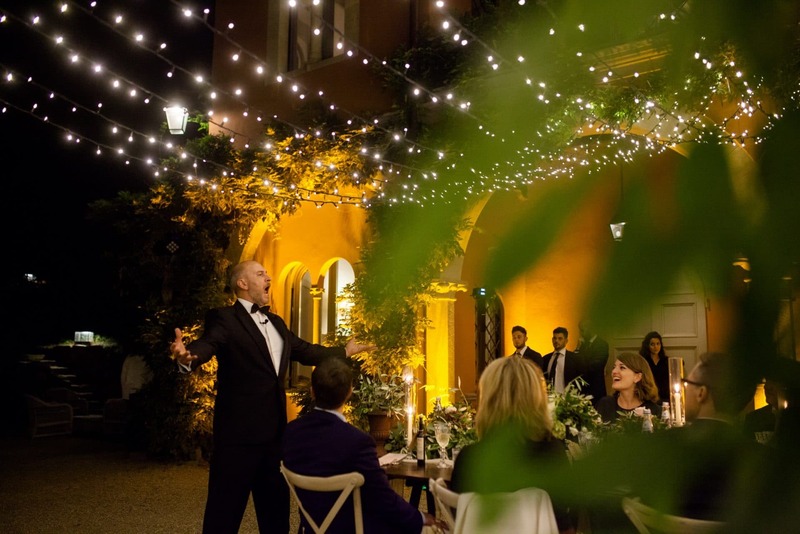 Dinner could not come without a twist, and our tenor gave a breathtaking performance in a spectacular scenario, under a starry sky and with Florence as the backdrop. After dinner, dancing was characterized by the rhythm and sound our DJ and Sax, together with a series of light effects. 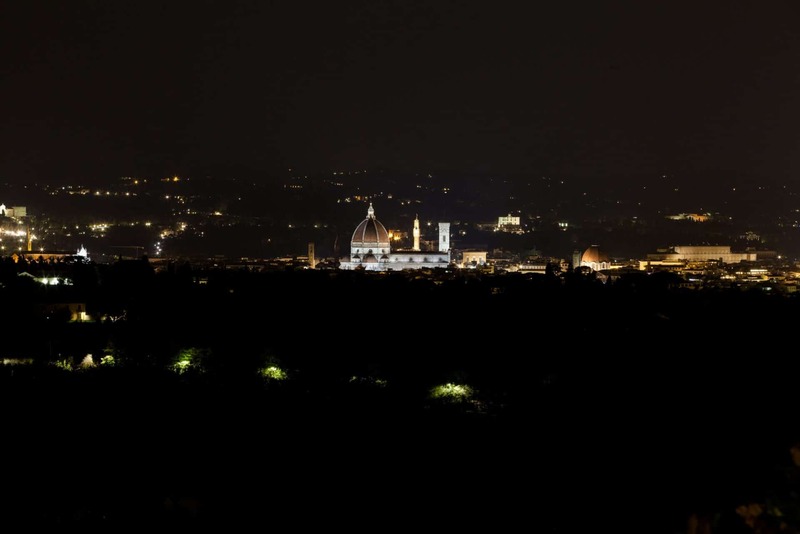 And while guests partied on the dance floor, Florence shun bright in all of its beauty.